The iconic Hotel Nacional de Cuba sits high above the Malecón, Havana’s inimitable seaside boulevard and promenade. A steady procession of classic American cars shuttles guests to and from the hotel, day and night. I made this 30-second night time exposure of the front entrance using a tripod-mounted camera. The moving cars painted light trails in the long exposure image and a small aperture produced starbursts around the headlights. The Hotel Nacional is equally stunning in the daytime. Taxi drivers awaiting customers are very approachable and are eager to show off their classic American cars. Few cars are still “stock”: most exemplify clever solutions to mechanical problems without access to replacement parts. 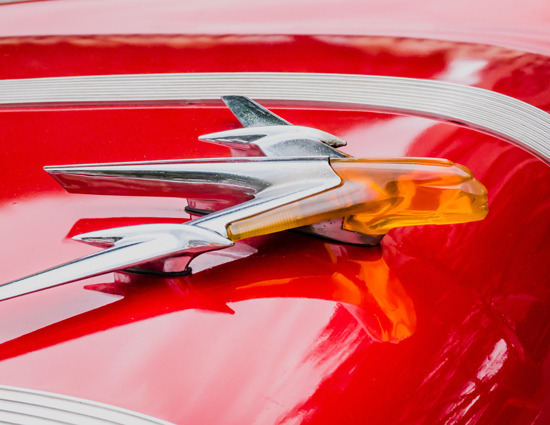 Owners demonstrate pride in their automobiles by giving them a thorough polish and waxing as evidenced by the 1955 Pontiac image below. The photographic subjects in Havana seem endless: classic cars, architecture, music, landscapes, street life, and more. 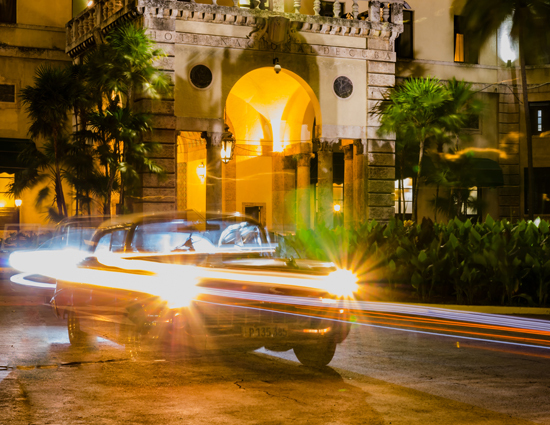 Havana is truly a photographers’ paradise, day and night!